Emmy Awards will be passed out on Sunday, August 29 with host Jimmy Fallon serving as the Emmy circus ringmaster. Fantastic new shows are challenging Emmy stalwarts for the big prize this year including upstarts Glee, Modern Family and The Good Wife. Do the new shows stand a chance of winning Emmy Awards when the Television Academy has shown a long penchant for rewarding shows they know and love including 30 Rock and Mad Men? Why: Oh, boy, this is difficult. One could easily think that Lost might take the award, much as Return of the King took the Oscar for the collective work of Lord of the Rings. But, that would be wrong because Lost has had an iffy relationship with Emmy from the get-go. Look for Mad Men to continue its love affair with Emmy. Why: This category should go down to two actors: Michael C Hall for Dexter and Bryan Cranston for Breaking Bad. Look for last year’s winner to repeat, Michael C Hall. Why: Honestly, she gave the best performance of the year and it also will be an opportunity to salute one of the year’s best new shows. 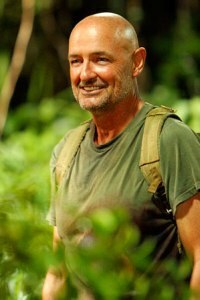 Why: It will be close between the two stars of Lost, but in the end, Terry O’Quinn will be rewarded over Michael Emerson for his incredible work as John Locke, especially in the show’s final season where he had to play Locke as a completely different character. Why: If Julianna Margulies wins, look for her supporting actress cohort on The Good Wife to take the prize as well. Up next…the Emmy Awards winners are predicted for comedy, miniseries and reality TV!